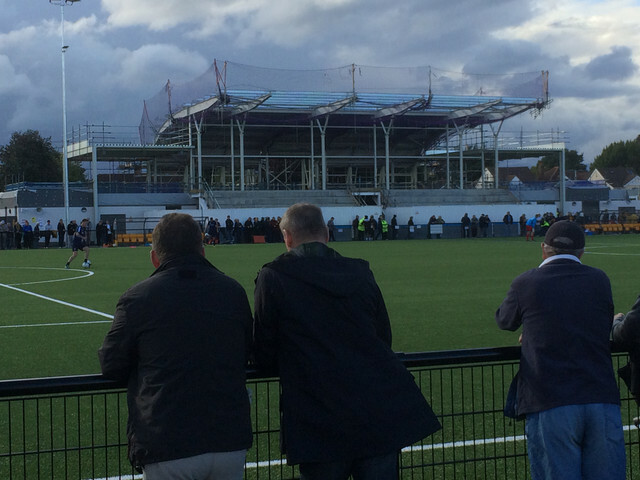 This is the main stand at Arbor Park, Slough. The ground floor is complete. It includes changing rooms, boardrooms, toilets etc. Spectator accommodation, clubhouse etc. are due for completion by March 2017. This picture is shot from the South Terrace when construction was at an earlier phase. 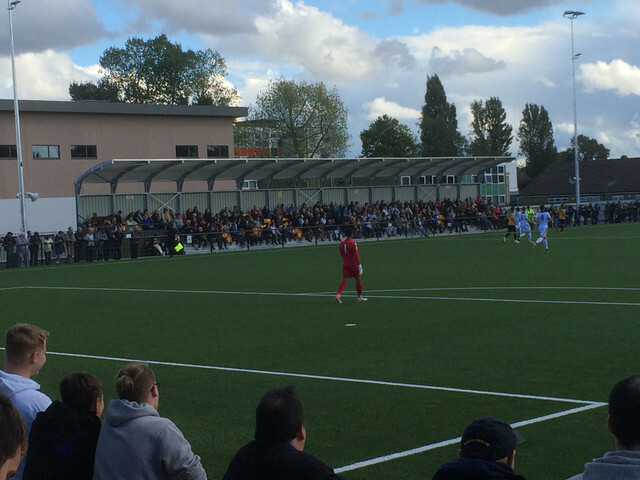 It shows the main stand on the left and the current seated are on the right. The seated area holds 300 and can easily be extended to hold at least further 300. 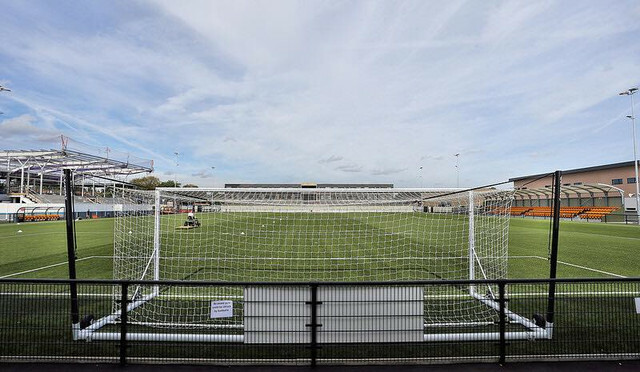 This is the East Stand in use at the Dartford FA Cup Tie. The buildings behind are of the existing school. Slough's Academy players attend this school and Season Ticket holders can buy a season pass use the school car park during matches. 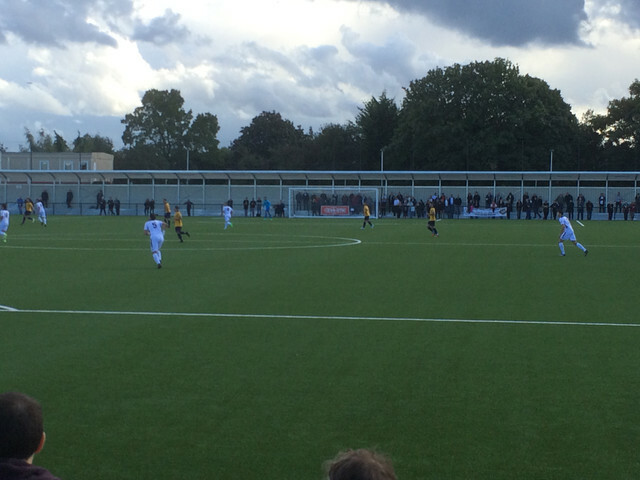 This is a long shot of the South Terrace taken from the North Terrace. Each terrace is identical, has 7 steps and holds about 700 covered. The terracing is made from galvanised steel and is designed (as per the Green Guide) so that they can be converted to seats easily. The new Secondary School is being built behind the North Stand, so Arbor Park has School Buildings on three sides. This image shows the terrace steps. One strange thing is that the hatched walkway is in front of the terrace and does not extend to the pitch railings. It is weird that there re currently no advertising boards around the pitch. The old ones are too tatty and they are currently negotiating stadium naming rights so it will stay that way for while. 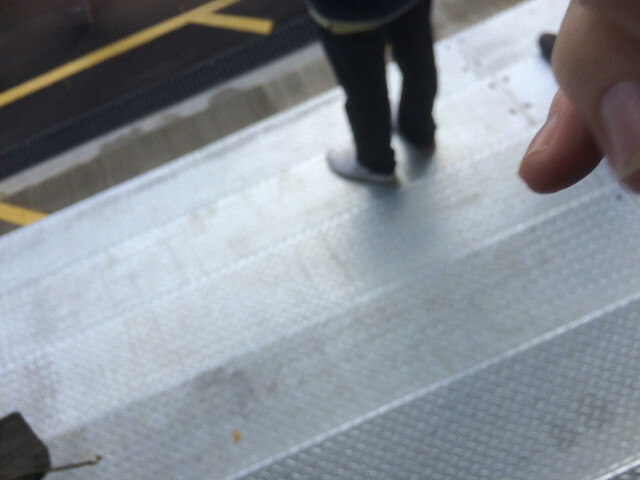 This is supposed to allow fans to stand in front of the terrace. 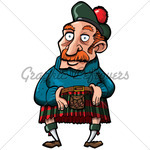 All looks very nice John do you know what the cost was or is?